Q. Zou, and H.-Y. Feng, “Push-pull direct modeling of solid CAD models,” Advances in Engineering Software, 127, pp.59-69, 2019. Z. Wang, J.S.S. Chen, J. Joy, and H.-Y. Feng, “Machined sharp edge restoration for triangle mesh workpiece models derived from grid-based machining simulation,” Computer-Aided Design and Applications, 15(6), pp.905-915, 2018. F. Khameneifar, and H.-Y. Feng, “Extracting sectional contours from scanned point clouds via adaptive surface projection,” International Journal of Production Research, 55(15), pp.4466-4480, 2017. J. Joy, and H.-Y. Feng, “Efficient milling part geometry computation via three-step update of frame-sliced voxel representation workpiece model,” The International Journal of Advanced Manufacturing Technology, 92(5-8), pp.2365-2378, 2017. J.S.S. Chen, and H.-Y. Feng, “Idealization of scanning-derived triangle mesh models of prismatic engineering parts,” International Journal on Interactive Design and Manufacturing (IJIDeM), 11(2), pp.205-221, 2017. J. Joy, and H.-Y. Feng, “Frame-sliced voxel representation: An accurate and memory-efficient modeling method for workpiece geometry in machining simulation,” Computer-Aided Design, 88, pp.1-13, 2017. J. Ma, J.S.S. Chen, H.-Y. Feng, and L. Wang, “Automatic construction of watertight manifold triangle meshes from scanned point clouds using matched umbrella facets,” Computer-Aided Design and Applications, 14(6), pp.742-750, 2017. F. Khameneifar, and H.-Y. Feng, “Establishing a balanced neighborhood of discrete points for local quadric surface fitting,” Computer-Aided Design, 84, pp.25-38, 2017. Z. Li, J. Ma, and H.-Y. Feng, “Facial conformation modeling via interactive adjustment of hierarchical linear anthropometry-based parameters,” Computer-Aided Design and Applications, 14(5), pp.661-670, 2017. Q. Jiang, H.-Y. Feng, Y. Wang, and C. Fang, “Batch circular form error characterization and evaluation,” Precision Engineering, 47, pp.223-230, 2017. Y. Wang, and H.-Y. Feng, “Effects of scanning orientation on outlier formation in 3D laser scanning of reflective surfaces,” Optics and Lasers in Engineering, 81, pp.35-45, 2016. X. Gong, and H.-Y. Feng, “Cutter-workpiece engagement determination for general milling using triangle mesh modeling,” Journal of Computational Design and Engineering, 3(2), pp.151-160, 2016. F. Khameneifar, and H.-Y. Feng, “A new methodology for evaluating position and orientation errors of airfoil sections,” The International Journal of Advanced Manufacturing Technology, 83(5-8), pp.1013-1023, 2016. J.S.S. Chen, and H.-Y. Feng, “Structure-altering feature-based triangle mesh model editing for primitive-based engineering parts,” Journal of Engineering Design, 27(7), pp.469-487, 2016. Y. Wang, H.-Y. and Feng, “Outlier detection for scanned point clouds using majority voting,” Computer-Aided Design, 62, pp.31-43, 2015. G.H. Kumazawa, H.-Y. Feng, and M.J.B. Fard, “Preferred feed direction field: A new tool path generation method for efficient sculptured surface machining,” Computer-Aided Design, 67, pp.1-12, 2015. Y. Wang, and H.-Y. Feng, “A rotating scan scheme for automatic outlier removal in laser scanning of reflective surfaces,” The International Journal of Advanced Manufacturing Technology, 81(1-4), pp.705-716, 2015. F. Khameneifar and H.-Y. Feng, “Airfoil profile reconstruction under the uncertainty of inspection data points,” The International Journal of Advanced Manufacturing Technology, vol. 71, no. 1–4, pp. 675–683, 2014. J. S.-S. Chen and H.-Y. Feng, “Automatic prismatic feature segmentation of scanning-derived meshes utilising mean curvature histograms: This paper presents an enhanced method for segmentation of scanning-derived triangle mesh models of physical prismatic mechanical parts,” Virtual and Physical Prototyping, vol. 9, no. 1, pp. 45–61, 2014. H.-Y. 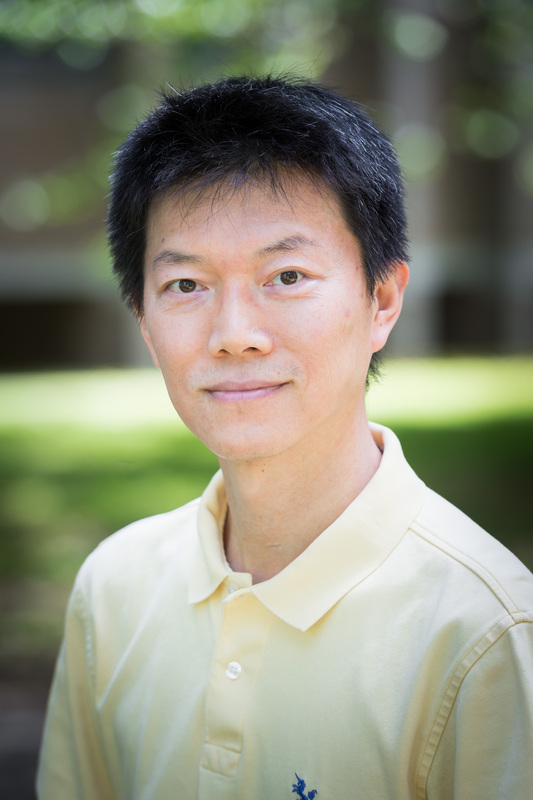 Feng, D. H. Endrias, M. A. Taher, and H. Song, “An accurate and efficient algorithm for determining minimum circumscribed circles and spheres from discrete data points,” Computer-Aided Design, vol. 45, no. 2, pp. 105–112, 2013. Y. Wang, H.-Y. Feng, F.-É. Delorme, and S. Engin, “An adaptive normal estimation method for scanned point clouds with sharp features,” Computer-Aided Design, vol. 45, no. 11, pp. 1333–1348, 2013. A. Azeem and H.-Y. Feng, “Cutting force prediction for ball-end mills with non-horizontal and rotational cutting motions,” The International Journal of Advanced Manufacturing Technology, vol. 67, no. 5–8, pp. 1833–1845, 2013. A. A. Rahman and H.-Y. Feng, “Effective corner machining via a constant feed rate looping tool path,” International Journal of Production Research, vol. 51, no. 6, pp. 1836–1851, 2013. J. Ma, H.-Y. Feng, and L. Wang, “Normal Vector Estimation for Point Clouds via Local Delaunay Triangle Mesh Matching,” Computer-Aided Design and Applications, vol. 10, no. 3, pp. 399–411, 2013. O. Tuysuz, Y. Altintas, and H.-Y. Feng, “Prediction of cutting forces in three and five-axis ball-end milling with tool indentation effect,” International Journal of Machine Tools and Manufacture, vol. 66, pp. 66–81, 2013. X. Gong and H.-Y. Feng, “Triangle Mesh Based In-Process Workpiece Update for General Milling Processes,” in ASME 2013 International Design Engineering Technical Conferences and Computers and Information in Engineering Conference, 2013, pp. V02AT02A043–V02AT02A043. D. OuYang, H.-Y. Feng, N. A. Jahangir, and H. Song, “Robust Initial Matching of Free-Form Objects Represented by Point Clouds,” Journal of Manufacturing Science and Engineering, vol. 134, no. 2, p. 021008, 2012.